The Air Force’s highly-classified X-37B space plane has broken the orbital endurance record for an unmanned reusable spacecraft. The old record of 469 days was set during the second flight of the X-37b which launched from Cape Canaveral Air Force Station on March 5, 2011. 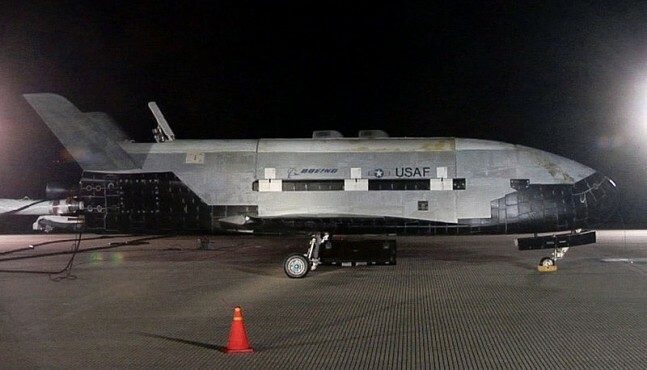 The current mission, designated USA-240, is the third of the x-37B program. The mission began on December 11, 2012 with a launch atop an Atlas V 501 rocket. Eventually the X-37B currently on orbit will glide back down to Earth much like NASA’s retired fleet of space shuttles. What the mission objective is and when it will end are closely-guarded secrets. It is possible that the spacecraft could be testing new space-based surveillance technologies.The X-37 program began in 1999 when NASA and Boeing started researching vehicle concepts. The project was moved to the Defense Advanced Research Projects Agency (DARPA) in 2004. In 2006 DARPA successfully conducted a series of captive carry and free flight tests from beneath Scaled Composites White Knight aircraft. The program was transferred once again, this time to the Rapid Capabilities Office of the United States Air Force. The first x-37B Orbital Test Vehicle (OTV-1) was launched from Space Launch Complex 41 at the Cape on April 22, 2010. The mission lasted 240 days and ended with the X-37B landing safely at Vandenberg AFB. The X-37B is launched into space atop an Atlas V 501 booster which is produced by United Launch Alliance (ULA). 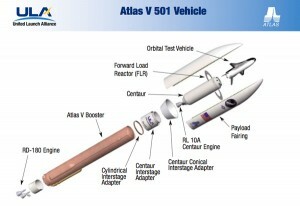 This Version of the Atlas V has a 5 meter fairing, no solid rocket booster and one engine aboard Centaur second stage. The first stage of the rocket is powered by a dual-nozzle RD-180 engine which is capable of producing more than 860,000 pounds of thrust at lift-off. The X-37B was built by Boeing’s Phantom Works. The spacecraft is about one-fourth the size of NASA’s space shuttle and features a similar landing profile. The spacecraft was built with lighter composite structures instead of traditional aluminum. The heat-resistant tiles made of toughened uni-piece fibrous insulation (TUFI) impregnated silica are considerably more durable that the first generation tiles used on the shuttle. The avionics on the X-37B are designed to automate all de-orbit and landing functions. The flight controls and brakes use electromechanical actuation instead of hydraulics. In January Boeing announced plans to convert Orbiter Processing Facility-1 (OFP-1) located at NASA’s Kennedy Space Center into a facility for servicing the X-37B. The facility will be leased through an agreement with Space Florida, the state’s spaceport authority and aerospace development agency. 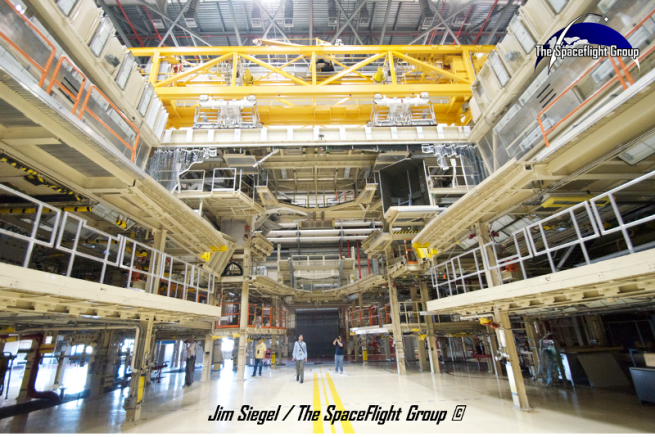 The facility will enable the U.S. Air Force to quickly and efficiently land, refurbish and re-launch the unmanned spacecraft. Boeing also leased OPF-3 in October of 2011 to support its CST-100 spacecraft. The CST is being built under NASA’s Commercial Crew Program to possibly ferry crew to and from the International Space Station (ISS). This article was written using information from Slash Gear, Space.com and Boeing.